The 6 Step Brain Machinery Circular Diagram for PowerPoint is a brainstorming template. 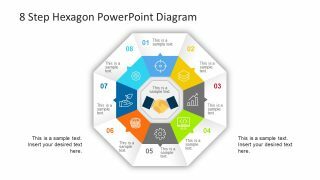 It is business and technology PowerPoint to present models, features, or processes during a company meeting. 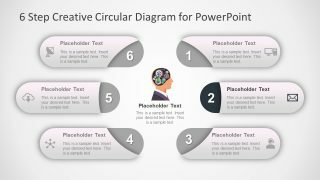 The presentation template gives a quick and easy view of mind mapping for both personal and professional use. 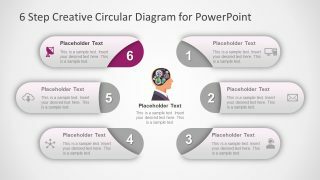 There are 7 slides to explain 6 step brain machinery diagram where the first template is an overview. 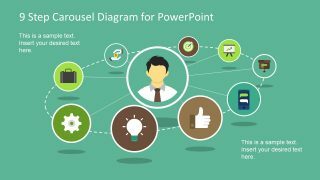 Further, 6 slides present each segment around diagram one after the other. The center of layout displays a human head with gears instead of brain image. Therefore, a system of gears metaphorically displays brain procession, critical thinking or mind mapping. 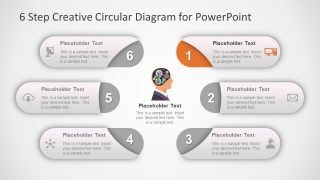 The 6 Steps Brain Machinery Circular Diagram for PowerPoint can help deliver many ideas and sequential elements. The gears as brain machinery can illustrate processing, loading information, solving a problem etc. The brain machinery diagram shows 6 tablet-shape segments creating a circle around center. 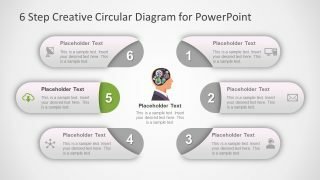 These segments contain text placeholder, infographics icons, and bold numbers to represent each step in sequence. 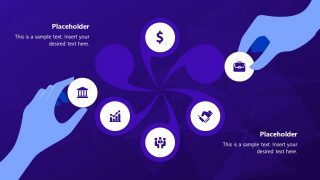 The icons include desktop computer, mail, customer support, hub network, cloud download, and satellite dish. These icons are useful in presenting technology related topics. 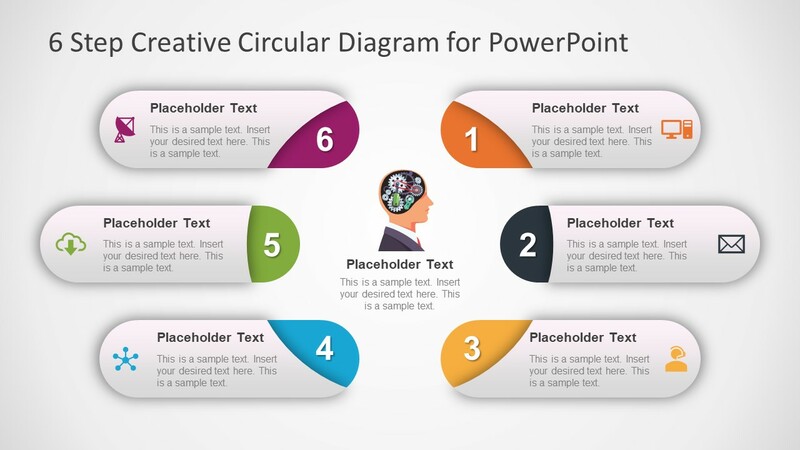 However, users can replace these editable icons for another topic from different industry. 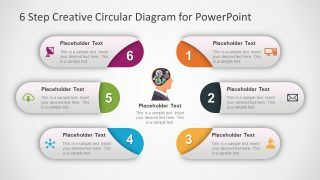 The circular PowerPoint diagram can explain hub and spoke concepts through 6 segments. 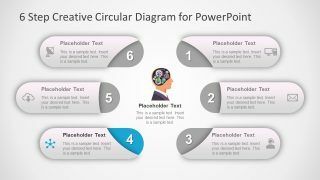 The brain gear infographics is a visual thinking tool to recollect information and ideas during brainstorming process. 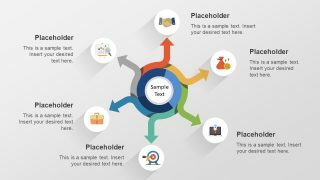 This brain machinery gear template can benefit the professionals in delivering their development, strategies, person of interest etc. Similarly, the teachers increase engagement of content through these graphics which also stays in memory longer. Therefore, this brain machinery diagram is useful in multiple business industries including management, medical, research, and more.